Rough and natural come together with Annette Görtz and Black Crane. Exploration and leisure in wild and rugged locations, while remaining stylish with texture and architectural form. The Black Crane rust linen dress goes with backgrounds of places such as Zambia. 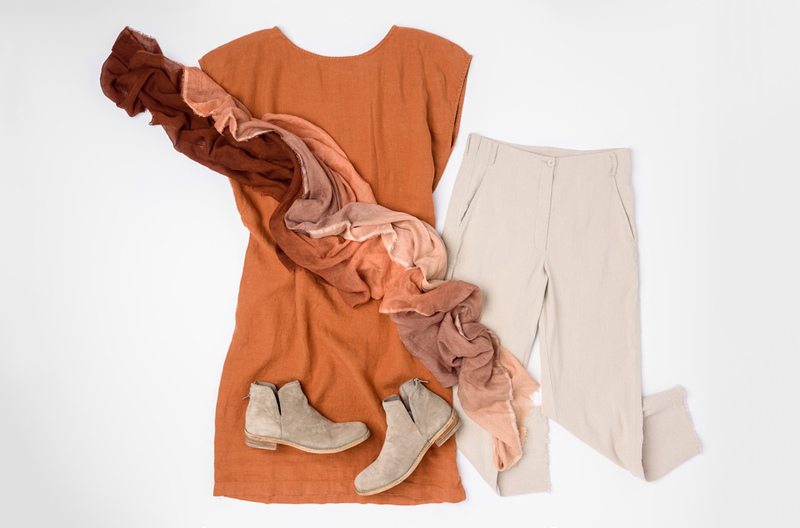 It layers over the neutral tones of the Annette Görtz stretch linen pants. The Faliero Sarti deep rust, orange, and cream ombre scarf matches, along with the Officine Creative sand brown suede boots.